158. 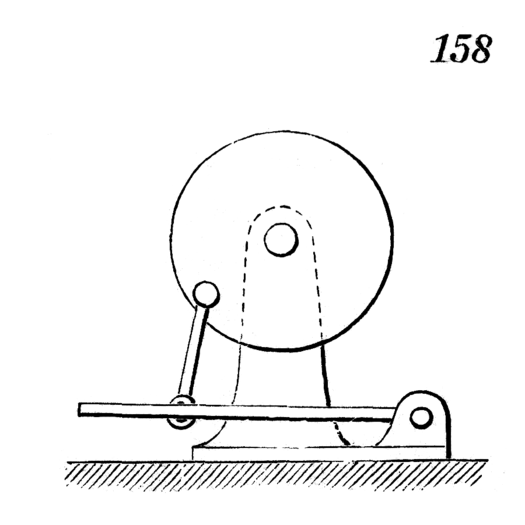 Reciprocating curvilinear motion of the treadle gives a circular motion to the disk. A crank may be substituted for the disk.